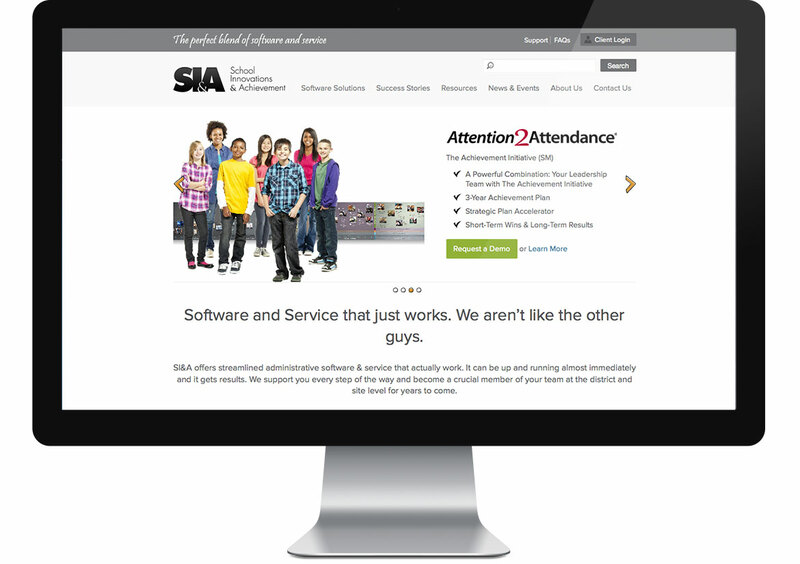 SI&A is an education software company that helps schools increase attendance and the quality of education nationwide. Simple & dynamic video embedding help bring SI&A software pages to life. Education software is a complex issue, but SI&A’s video library takes the mystery out of their solutions. The new site that Three29 designed makes it easier to find and embed education videos. A powerful CMS brings it all to life in an easy to navigate video library. 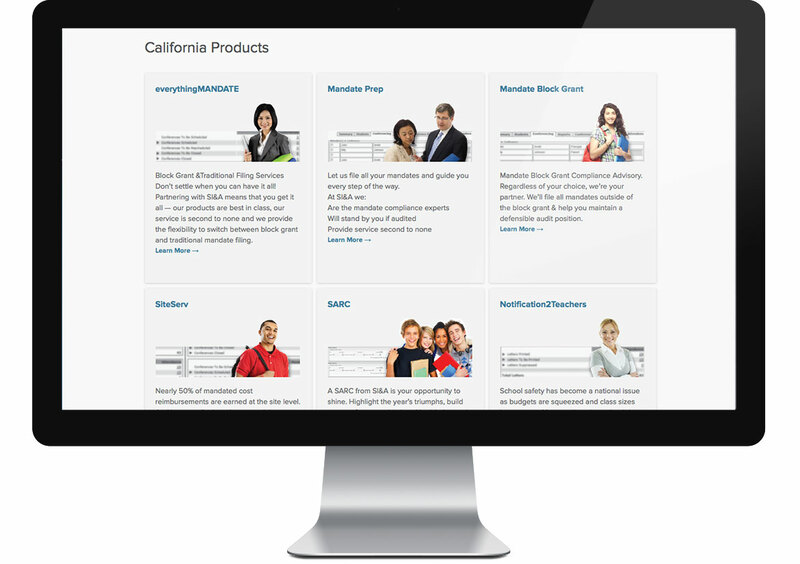 SI&A is an education software company based out of El Dorado Hills. Their software helps schools increase attendance and the quality of education throughout the country. Three29 was asked to take their online brand in a completely new direction — to one based around software and service. The new site was designed to be clean and easy to navigate with a focus on products and service. Instead of leading with “History” and “About Us,” the new site leads with SI&A’s main component; software. The restructuring of the site content as well as the new designs have helped increase the amount of software page views and overall leads that SI&A receives on a weekly basis. A redesign that makes sense and looks good. 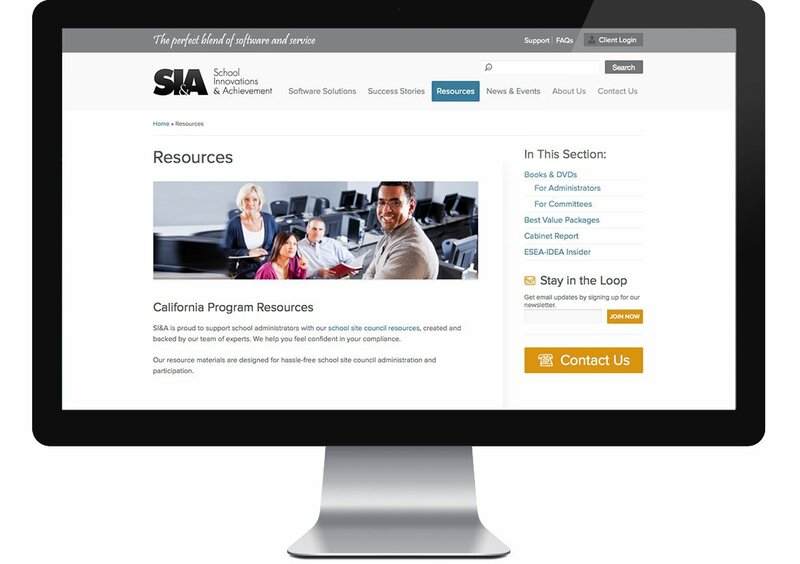 The new SI&A website presents their company the way it should be, as a software for service solution focused on the education industry.